Tactics - Shoot, Move, Communicate! 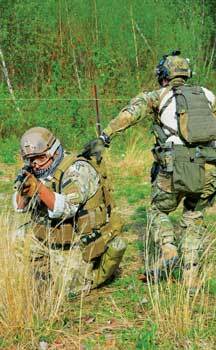 Home » How To's » Tactics – Shoot, Move, Communicate! 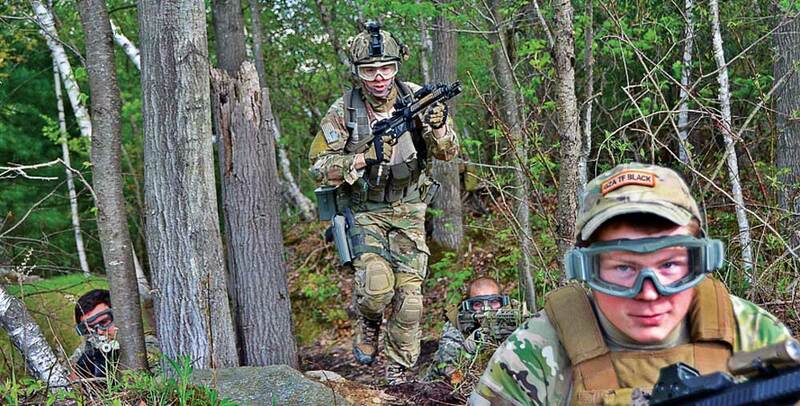 My first experience with MILSIM/airsoft was at a game in Massachusetts with 300 players back in 2004. I was the commander of one team and was immediately impressed with the airsoft replicas and gear the players had. That positive impression quickly faded when we entered the woods where there was no semblance of tactical play and chaos ensued. It was that defining moment when I realized the potential of this game and the need for structure. From that moment on I have been teaching Squad Tactics to the MILSIM/airsoft community. I have to admit that it took quite a while to adapt “real world” tactics to the game environment. The most significant difference is the range of the airsoft replicas – a real M16 has an effective range of about 450 meters and an airsoft replica has an effective range of about 150 feet. We have all played a game that gets stalemated because everyone takes a hide position and slings BBs at each other – plenty of shooting, but no moving or communicating. 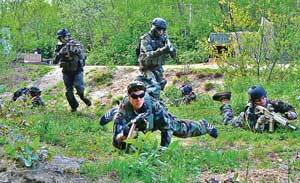 Effective squad tactics rely on teamwork to overcome your opponent, gain terrain and secure victory. Shoot, move and communicate is your mantra. The squad is the basic foundation of all tactical operations. 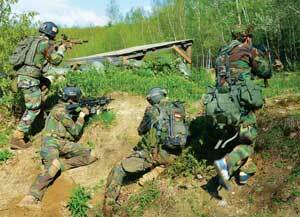 It is the essential skill level of MILSIM proficiency and success. I’ve seen soldiers and cadets use a variety of means to depict a squad in sand table exercises. I get confused with plastic soldiers, rocks, pine cones, etc. 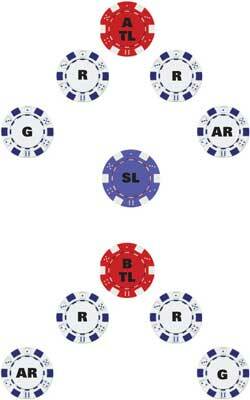 The most effective means to illustrate tactical operations at the squad level is with poker chips as depicted here. So, when you are building your MILSIM/airsoft team, use this as your manning template. It can be adjusted for more or fewer players depending on the situation. Let’s take a step backwards and build this Shoot, Move, Communicate philosophy from the bottom up. A lone soldier on the battlefield or game field is destined to be eliminated! Use the following technique to enhance your game. The smallest combat effective element is the buddy team. For tactical and safety reasons, never leave your battle buddy. We have all played “leap frog” as kids, where you use a friend as the base and you leap forward over him/her. Believe it or not, this is the basic foundation of a tactical maneuver. • Both soldiers (A & B) start from a covered and concealed position. • Soldier A provides covering fire to keep the enemy’s head down. • Soldier B provides covering fires to keep the enemy’s head down. • They continue this “leap frog” until they assault through the objective. Right:Leap frog continues at the squad level with fire teams covering and moving. The squad leader coordinates covering fire and movement as the squad assaults through the objective. 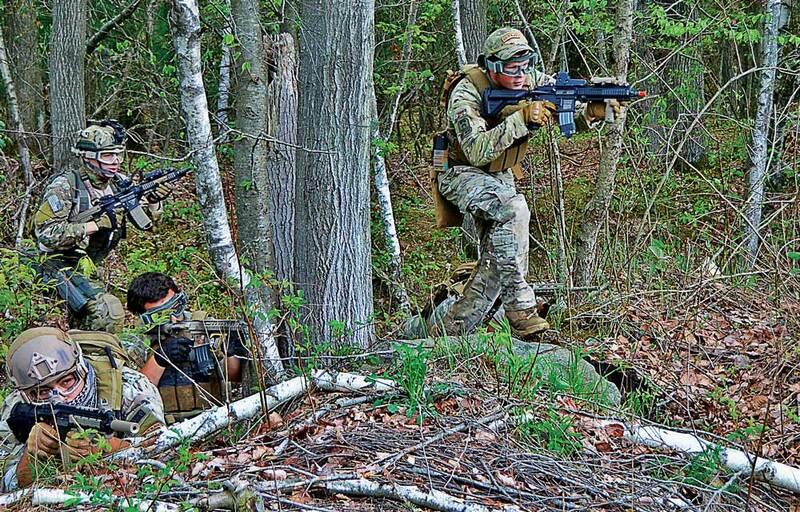 Covering fire and movement must be coordinated within the effective range of airsoft replicas at every level. The primary purpose of covering fire in a game environment is to keep your opponent’s head down while your teammates are moving. This may sound simple, but it takes a lot of practice to become proficient as a team – practice, practice, practice until this drill becomes an instinctive response to contact.